Our latest project with VicHealth is taking us around Victoria to tell the stories of the clever grant recipients that are keeping their communities active. We travelled to South Gippsland to film with Swell Mamas, a mother’s group bringing together the unexpected world’s of surfing and childcare to the beaches of Inverloch. 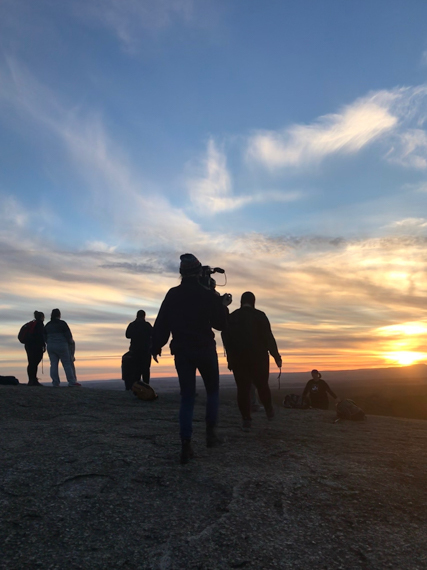 We then journeyed out west to the You Yangs in regional Victoria to film with Escaping Your Comfort Zone, a body-positive hiking club for women. We are looking forward to our upcoming shoots, capturing the incredible locations and communities assisted by VicHealth’s Active Club Grants. We'd like to thank everyone who has been involved so far.